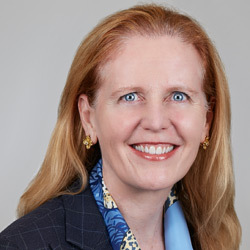 Cambridge, Massachusetts-based Voyager Therapeutics has appointed Jane Pritchett Henderson as senior vice president and chief financial officer. Henderson brings nearly 30 years of life science and finance expertise to the firm, most recently as chief financial and business officer at Kolltan Pharmaceuticals. Prior to this, she served as vice president of business development at ISTA Pharmaceuticals, chief financial officer and head of business development at Axerion Pharmaceuticals, and chief financial officer and chief business officer at Panacos Pharmaceuticals. Henderson said: “Voyager has an excellent scientific foundation, world class researchers and clinicians, a stellar leadership team and board. “This strong foundation combined with the company's recent positive interim phase Ib data from its lead program VY-AADC01 for advanced Parkinson's disease and the opportunity to join a company that has the potential to alter the course of treating devastating CNS diseases is highly attractive.